Leaving the European Union would see foreign direct investment into the UK drop dramatically, taking four years to recover and remaining at a reduced level in the long-term. THE company behind Birminghams biggest club is set to bring 120 new jobs to the city, it has announced. THE decision by the BBC to pledge more resources to Birmingham has been welcomed by business leaders and the citys inward investment body. THE automotive arm of Worcestershire-based engineering giant GKN has launched production at a new factory in Mexico. Kaido secures £50,000 funding from Creative England. 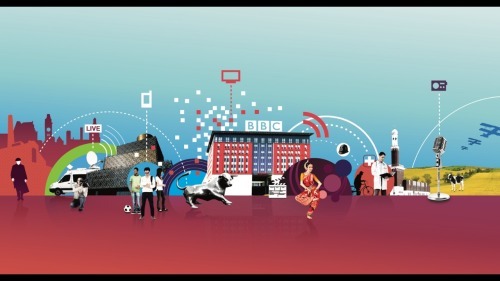 BBC announces further investment in Birmingham The BBC has today announced a package of measures that will build on the Corporation’s existing £125m investment in Birmingham by creating a new dual base for BBC Three in the city. PROPERTY investment firm Real Estate Investors has dipped into its war chest again after spending £5.135m on two Midlands properties. Real Estate Investors plc (REI) has snapped up two more investment properties across the Midlands. NEARLY half a million pounds will be invested on specialist staff for Walsall Manor Hospital as part of ongoing improvements following its inadequate rating by inspectors. The city councils cabinet is set to give the all clear on the development of a plan to identify the investment required to regenerate Druids Heath. Cabinet is set to give the go-ahead to the development of a plan to identify the investment required to regenerate Druids Heath. A CHINESE delegation is to visit Coventry next week as its only UK stop on a European tour looking for investment opportunities. A BRAZILIAN restaurant chain is to open in Birmingham next week after spending £1.2m refurbishing its site. FEARS that next months EU referendum could destabilise the West Midlands booming commercial property investment market have proved unfounded, experts have said. THE acquisition by renowned Birmingham retailer Lee Longlands of four stores has been named as April\’s Deal of the Month by TheBusinessDesk. Bringing together academic, civil society, political & intergovernmental voices to discuss the myths & realities surrounding the investment chapter of TTIP and other international investment treaties. A quarter of a billion pounds has been pledged towards the UK’s first ever Dementia Research Institute (DRI), as 2 major UK charities announced £100 million of new investment yesterday. RAIL passengers planning to travel over the Bank Holiday have been warned of potential delays in the West Midlands due to engineering work. There are currently a number of European Structural and Investment Funds (ESIF) calls that are open in the West Midlands. A NEW Fear Effect game could be released next year if it manages to raise 100,000. THE West Midlands faces losing out on much-needed investment if it cannot meet industrys need for quality commercial space, business leaders in Birmingham have been told. We are pleased to announce that as part of our continuous investment philosophy we have invested in a new Doosan DNM500 CNC vertical machining centre. Binary Options – How they work. For many years, a key way to invest some of your hard earned cash was through the buying of stocks and shares. A REAL estate asset manager has recruited one of the West Midlands best known investment agents to spearhead its drive for growth in the region. MORE than 200 children visited Lichfield Cathedral School recently to take part in an inspiring science workshop. AN investment in new talent has reaped dividends for Big Four accountants KPMG in Birmingham. THE success of Wolverhamptons transportation capital programme has delivered a multi-million pound boost to the citys regeneration over the last three years, it has been claimed. ‘Pig’s breakfast’ – ‘something unattractive or unappetising; a mess, a muddle’, as defined by the Oxford Dictionary. Rachel Williams has joined the board of the Midlands branch of the Investment Property Forum (IPF). Digital marketing firm Tradedoubler, a company boasting clients including Tesco, Groupon and Microsoft, has launched TD Ventures a business accelerator with 5m of investment available to companies across the UK, France and Germany. A SENIOR associate in the real estate team at the Birmingham office of global law firm DLA Piper has joined the board of the Midlands branch of the Investment Property Forum (IPF). Blue Marble Asset Management has recruited one of the West Midlands’ best known investment agents to spearhead the drive for new clients. PLANNERS have been recommended to approve proposals for a new mixed-use retail development in Sandwell that could generate millions of pounds of investment and create hundreds of new jobs. REAL estate investment advisor AshbyCapital has appointed The Genuine Dining Co.
SOLIHULL-based estate agency business, Purplebricks has appointed Grant Thornton in Birmingham as its auditor, tax and growth adviser. THE University of Wolverhampton has continued the latest phase of its £250m investment strategy with the appointment of a contractor to work on its £4m city centre campus. 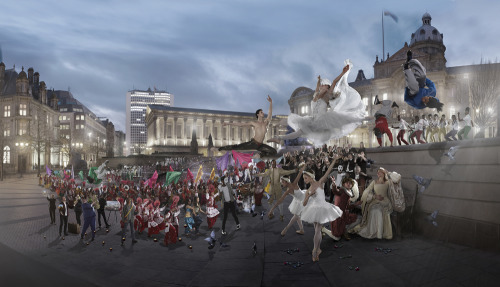 NEW ways of investing in the arts and culture sector are being investigated as part of a multi-agency study in Birmingham. suppliers has signed its largest ever ‘press’ investment ahead of MACH 2016. One of the UK’s fastest growing automotive suppliers has signed its largest ever ‘press’ investment ahead of MACH 2016. A LEADING supplier to Jaguar Land Rover has helped pass on the car makers success by investing £10m in a new equipment order. Inquiry will use commercial and analytical skills of the city’s business community, national and international exemplars. PROPERTY investor NewRiver has submitted amended plans to its scheme proposing a major revamp of a Birmingham shopping centre. Applications are still open for Pitchfest WM 2016 – the pitching competition that gives entrepreneurs a better chance of winning investment. UK institutions have been the most prominent investors in the Birmingham office market, accounting for over 58% of the value of transactions in 2015, according to the latest Who Owns Central Birmingham report. A CHARTERED surveyor which has recently completed its expansion into Birmingham has secured a £6.5m investment to support its continued growth.